Roadside Memorial for the seven Marines from the Special Operations Regiment and four U.S. Soldiers of the 1-224th Assault Helicopter Battalion who perished March 10, 2015 when their UH-60 Blackhawk helicopter crashed on a training flight. 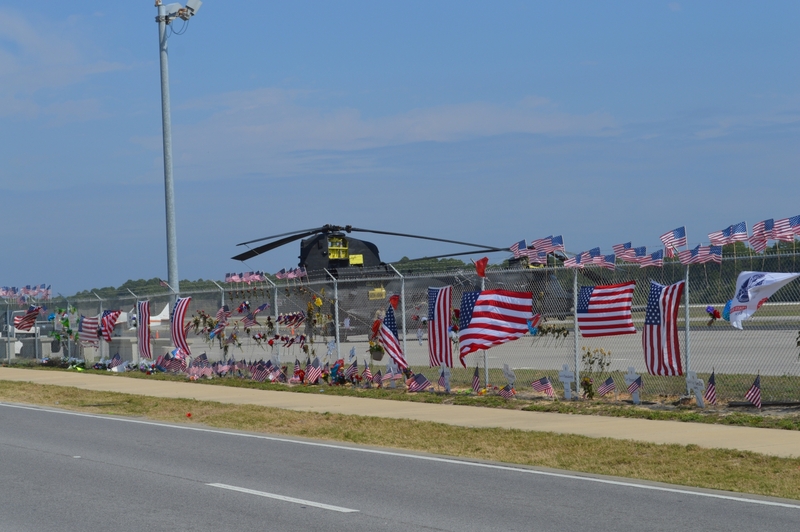 The two helicopters had been based out of Destin Airport all week prior to the crash.